The Nigerian National Petroleum Corporation (NNPC), has recorded trading surplus of N17.16billion in April, 2018. NNPC Group General Manager, Group Public Affairs Division, Ndu Ughamadu, who made this known in a statement, yesterday said the development was part of the highlight of the Corporation’s Monthly Financial and Operations Report for the review period. 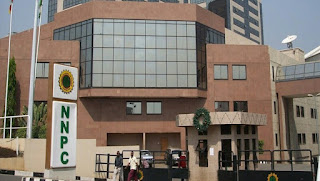 The report, which is the 33rd edition since NNPC commenced the monthly publication of its financial and operations data as part of efforts to instill a culture of transparency and keep stakeholders, and the general public informed of its activities, indicated a N5.43billion improvement representing 46.29 per cent on the trading surplus recorded in the previous month of March, 2018. According to the report released in Abuja, the trading surplus was achieved through a combined higher performance by the upstream, midstream (refineries) and downstream sectors, as well as a reduction in the Corporate Headquarters’ operational expenditure. On the gas production and supply front, it indicated that the average daily production for April, 2018, stood at 8,054.46 billion cubic feet (bcf), out of which an average of 835.27 million metric standard cubic feet (mmscf), equivalent of 3,283 megawatts of electricity, was supplied to the power sector daily during the review period. “The result, when compared with that of April, 2017, implies an increase of 496mw of power generated relative to same period last year”, the report stated. The NNPC said it recorded a 48.21 per cent reduction in the rate of pipeline vandalism which fell to 166 from 224 vandalised points in the previous month. According to the report, the Aba-Enugu pipeline segment accounted for 78 vandalised points, representing 84.78 per cent of total vandalised points on the nation’s network of products pipelines. Meanwhile, the Department of Petroleum Resources (DPR) generated over N4trillion to the Federal Government coffers in the last five years, it was learnt yesterday. The revenue exceeded the target of the organisation for the period of five years that ended in 2017. Officials of the Planning Division of the DPR Assistant Director, Budget and Strategic Planning, Steve Ayuba and the Accountant Planning Division, Badmus Mustafa Amodu stated this on the Radio Nigeria, Half Hour, monitored by The Nation. They expressed optimism that the future of the organization would be brighter and expected to exceed the present revenue generation profile. The DPR, according to him, collects all revenue for the federation, and it does not operate any account for itself.